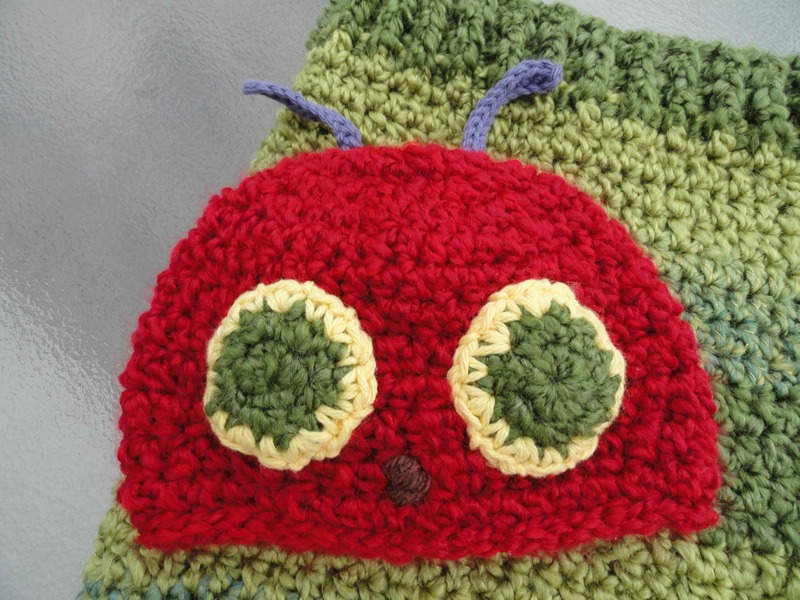 Baby cocoons seem to be all the rage in the crochet and photography worlds as of late. I jumped all over that bandwagon. Can’t wait to see some little sweeties modeling this. If you are interested, you can find the pattern here. It’s a super easy pattern to follow and she’s got a nice site with lots of cute stuff to look at too. I followed the pattern mostly. Didn’t you just know I was going to add my 2 cents about now?? This is the part of the show where I make your life difficult if you use the pattern I link to, because I can’t help myself and I always change a couple of things. So if you are new here, take notes. 1.) 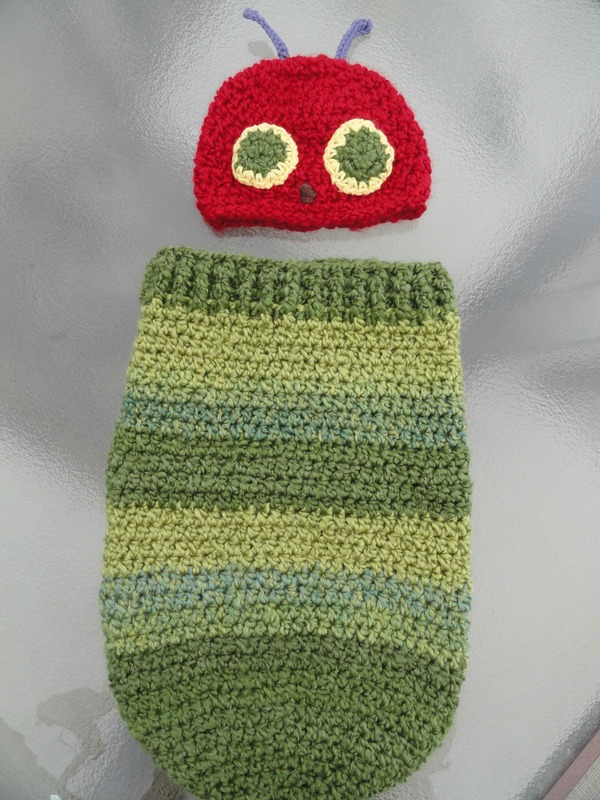 I used Lion Brand Homespun yarn for the greens and the red, and some leftover bits for the details. 2.) I reversed the colors for the eyes to match the illustrations in the book. 3.) I added one more row to the ribbing (row 36). 5.) I satin-stitched a nose. And then I gave it away. And then I started to make another. I have been so fortunate to find awesome stuff lately! this little character is so very much loved recently by my grandkids…thanks for sharing this as my husband is a photographer and loves me to have these dealies on hand for the babies. Thank you for recording the beautiful things you make and then sharing them. You are so sweet 🙂 Thanks for visiting! Gorgeous. Do they come in adult sizes as well? It would look fabulous on you dahling!!! Thank so much Dani 🙂 I humbly accept. I’m so happy you enjoy my little corner of the world and it’s so nice to get to know you! Even sans baby it is super squee-worthy!